(See below for London venue). Emma B. George and Anna Zanders star in a twisting two-hander, a psychological thriller from the acclaimed author, Morgan Lloyd Malcolm. In this compelling play, questions are raised about how far beyond the playground we carry our childhood experiences, and to what lengths are some people willing to go in order to come to terms with them. Emma and Anna studied acting at the world-renowned Stella Adler Academy of Acting and Theatre in Los Angeles, a 2-year conservatory program. Emma has featured in numerous films in L.A., as well as being directed by Oscar-winner, Milton Justice. 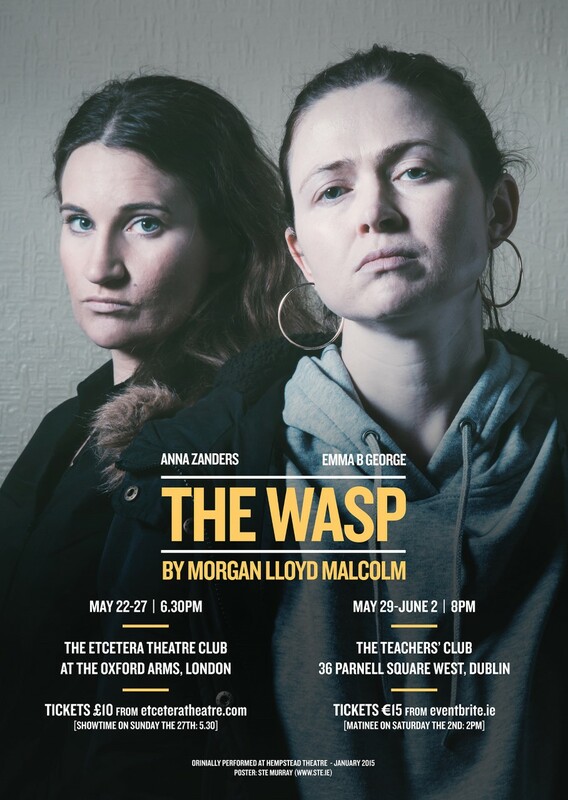 They have now joined forces to bring you this great play, The Wasp, and have moved back to Europe to make waves on this side of the Atlantic.